The Master of Educational Psychology builds the capacity of educators to be inclusive, adaptable and meet the individual needs of each student to ensure that the education system works for all. Massey University’s Master of Educational Psychology will strengthen your teaching practice and support your career as an educator. This professional practice qualification gives teachers, school leaders and school psychologists a greater depth of understanding about the factors that support or hinder learning. You’ll explore this from an ecological viewpoint and consider everything including the teachers, environment and other external influences that affect and influence a child’s learning. 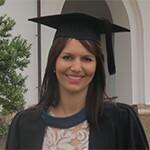 Whether you want to develop your current skillset as a teacher or school psychologist, steer into educational psychology research as part of a PhD, or follow the pathway into the Postgraduate Diploma in Educational and Developmental Psychology Internship, the Master of Educational Psychology is a great fit. It sets you up to work with and support children with disabilities and learning and behaviour difficulties. Our programme fosters inclusive education assessment and intervention, collaborative practice with teachers and whanau, and differentiation of teaching for individual learning needs. These principle areas will enable you to pursue the areas you’re passionate about. Our Master of Educational Psychology is the only programme of its kind available to study New Zealand wide. Along with several on-campus block courses at our Auckland campus in Albany, you can complete your master’s from the comfort of your own home or working environment. Our 50 years of experience in providing world-leading distance learning means you’ll be supported and cared for at every step of the way. If you have a passion for working with people, enjoy a challenging role and want a career that gives you diverse experiences, then a Master of Educational Psychology at Massey University is a great choice for you. Educational psychology is a branch of psychology that focuses on student learning, behaviour and well-being. In New Zealand, educational psychology is strengths-based and ecological, meaning we work with the systems around the learner, and through understanding their strengths and challenges, we support the building of solutions into their existing settings. The study focuses on fundamental tools for analysis, intervention, research skills and communication techniques, which are beneficial across professional and personal life. I work in a child and adolescent mental health setting; however this is not normal practice for an educational psychologist. My role is in assessment and intervention for young people and their families. It connects to my study in the way that I am trained to assess a situation, assess what is working well and what the challenges are, and then analyse each alongside research to promote positive change. I am successful when I enable the system around the child to put in place positive changes that can be sustained. I enjoy meeting the children and giving them a voice, particularly when there is so much stress and often negativity, I love being able to turn this around. I also enjoy acting in a supporting role to teachers and families and empowering them to feel stronger and more successful in their roles.